We’ve looked at what makes a good story and how conflict can actually lead to better stories and trips. Now let’s explore another form of storytelling and why sometimes not telling the story may lead to a better experience. 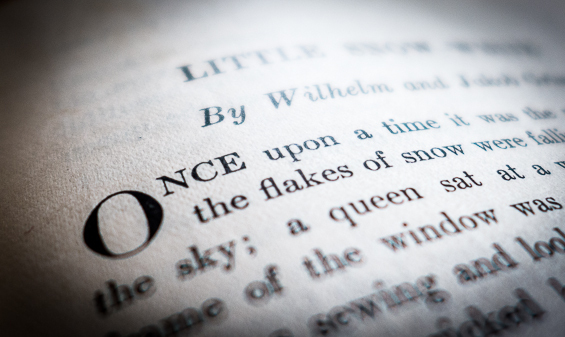 In the book Storytelling: Branding in Practice, the authors describe a simple storytelling structure with which we’re all familiar: the fairy tale. The fairy tale may have some twists and turns along the way, but it tends to follow the five P’s of person, plot, point (moral), problem (conflict) and purpose (goal). The prince sets out to rescue the fair princess from the evil villain, overcomes many challenges along the way and eventually prevails with the aid of his trusted sidekick and earns his reward from the king. When I first started thinking about applying this framework to trips, it made sense. For example, on a trip to Switzerland years ago, the benefactor might be the kind family I met on the train who took me in for the weekend. The reward was a free place to stay and wonderful company (and food). I was the beneficiary, they were the hero. My support was my willingness to venture out alone and the adversary was, possibly the risk of strangers or, conversely loneliness or boredom (had I not met them). But here’s where the emphasis on story starts to break down. No matter how well I describe that weekend, not much happened that would be of interest to others. However, it was an incredible experience for me as I made new friends and got to know daily life in a different culture up close. But is hanging out with a Swiss family for three days interesting to others? Not likely. Using the fairy tale model can help you tell better stories. But in an effort to tell those better stories, we forget that sometimes we don’t have to. Some experiences are best left as experiences. You don’t have to translate everything into words so that others can understand. That especially applies to today’s world where we can feel that if we don’t share what happened on Facebook or Twitter, our experiences somehow aren’t validated or as meaningful. Some of our best trips will make lousy stories even as they change our lives. What happens on a trip may be for you and God alone. And many times, that’s the way it should remain. So remember this next time someone asks about your trip: Even if you know how to tell a great story, sometimes the most meaningful thing you can do is not to try.